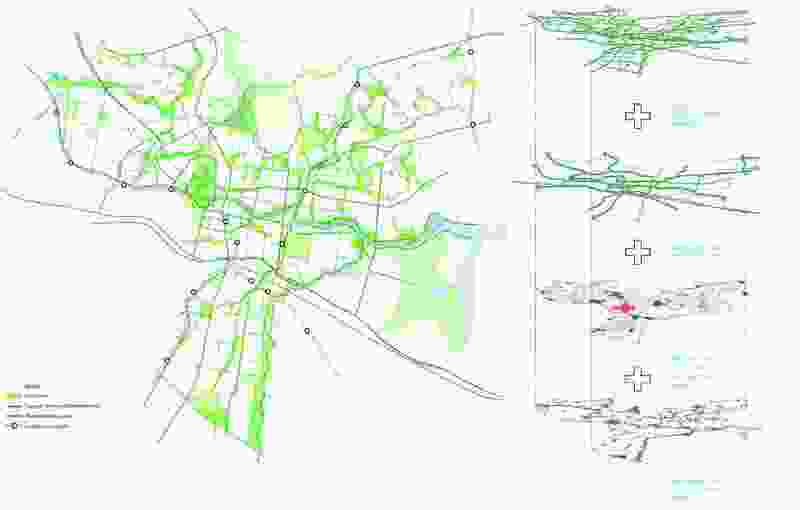 Sydney Green Grid by NSW Government Architects Office. 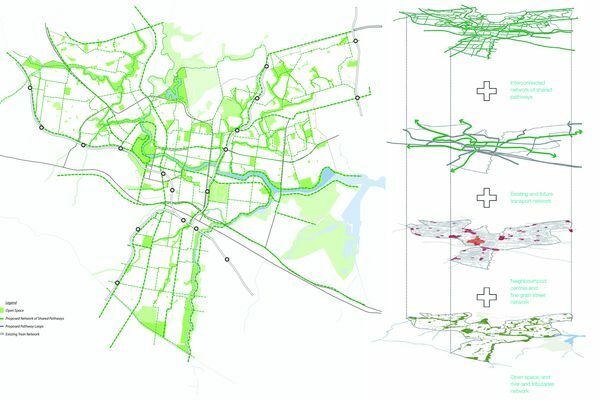 The Sydney Green Grid project establishes a framework to create an interconnected network of open space throughout metropolitan Sydney. This network includes an extensive range of open spaces, from national, regional and local parks to the harbour, wetlands, rivers, beaches, creeks, playgrounds, playing fields, golf courses and cemeteries. Further links are fostered within the wider public realm through enhancing creek corridors, transport routes, footpaths and cycleways. The jury commends the project’s rigorous research approach and methodology, extensive documentation and inventory of existing open space networks, as well as its identification of strategic opportunities to create high-calibre green infrastructures across the greater Sydney region. The Sydney Green Grid evolves policy frameworks into action plans. It moves beyond aspirations for “greening up” cities into thoroughly embedded and thriving urban ecological systems.